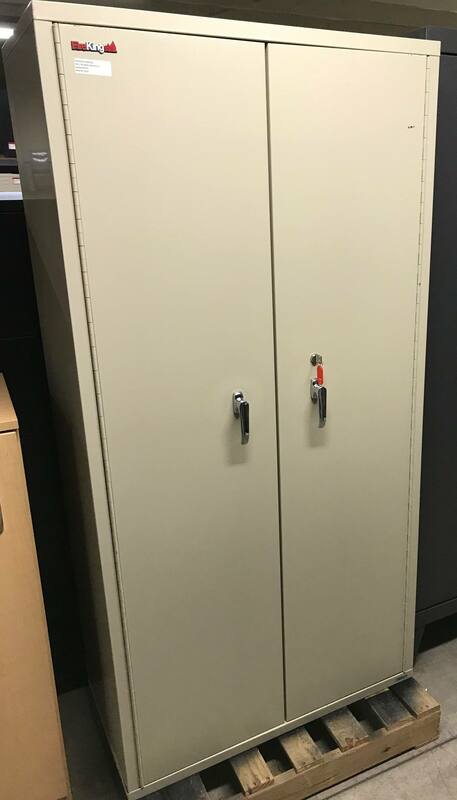 The FireKing CF7236-D Secure Storage Cabinet with adjustable shelves is designed specifically to protect your oversized documents, binders, end-tab filing and other invaluable items that will not fit into a regular filing cabinet. With one of the most trusted names in the industry you can rest assured that your larger than life files will be well protected. This cabinet was rated to withstand extreme external temperatures and maintain a 360 degree internal temperature. This is a perfect temperature for protecting paper items. Key locks, plus scratch-resistant Parchment powder cost finish for a lifetime of protection inside and out. 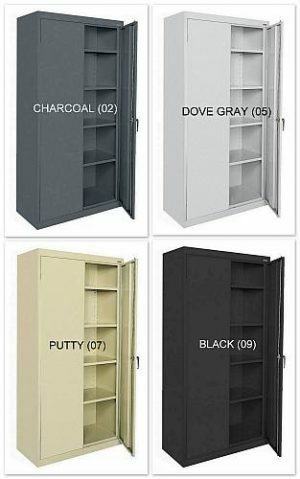 FireKing is striving to provide you with the best option when it comes to secure document storage. 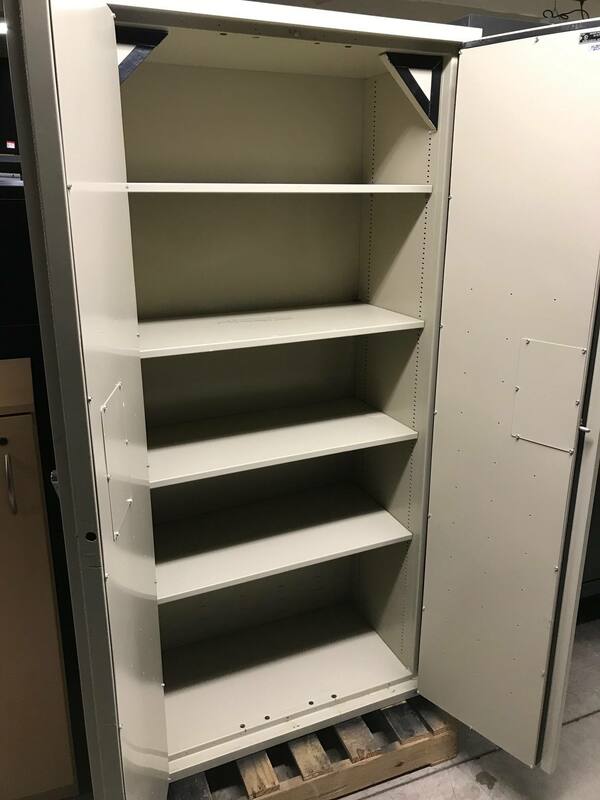 Some of the fantastic features of the FireKing CF7236-D Secure Storage Cabinet include: Store end-tab files with adjustable and modular end-tab filing shelves for easy, at-a-glance records archiving. Pull-Out Tray- that allows you to create a convenient tabletop work space in seconds. It’s sturdy enough to act as a writing surface, and discreet enough to slide out of the way when not in use. 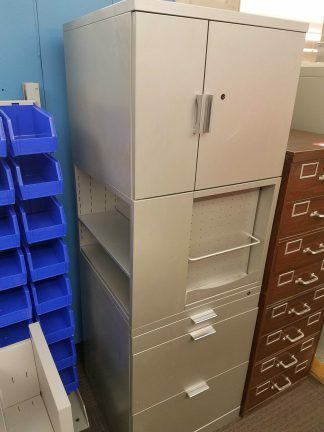 The modular File Drawer comes in either a legal configuration, storing two rows of legal-sized folders side by side, or letter configuration, holding letter-sized folders in a single row. You can also organize, store and access blueprints quickly with the blueprint holder. Blueprints are stored unfurled and upright so that designs and schematics are stored for easy access and protection. The oven-dried gypsum insulation is asbestos-free and will maintain protection properties for a lifetime and completely eliminate corrosion. Give yourself peace of mind that your valuable oversized documents for both your business and home are kept safe from theft and fire with the FireKing CF7236-D Secure Storage Cabinet.